With pharmacy distribution companies ripe for innovation, companies like CVS Health (CVS - Get Report) and Walgreens (WBA - Get Report) are trying to become more defensive. That's especially true as Amazon (AMZN - Get Report) lurks about with a possible entry into the pharmaceutical distribution business. Ultimately, companies like CVS, Walgreens and Rite Aid (RAD - Get Report) aren't all that different from automotive companies. After relaying on traditional operations for decades, companies like General Motors (GM - Get Report) and Ford Motor (F - Get Report) are seeing technology companies making a fast foray into the transportation industry. These Silicon Valley startups are nabbing monstrous valuations while GM, Ford and others linger with incredibly low valuations of their own. While these automakers are taking steps to improve their positioning -- including M&A and investment stakes -- Walgreens and CVS are at a similar crossroad. While they are trying to adapt to new changes, technological advances and applications threaten to disrupt their entire business model. One way to fight back? Beauty. Walgreens took an undisclosed minority stake in Birchbox in an attempt to bolster its in-store offerings. 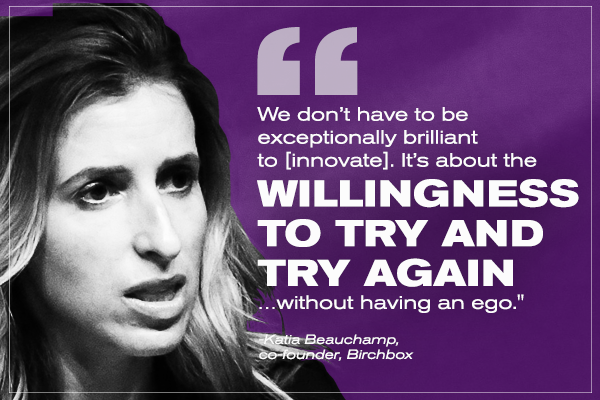 Customers will have access to unique selling points, such as building their own Birchbox. The company also offers a subscription-based service of varying beauty, hair and skin care products, with monthly, quarterly and an annual subscriptions available. Walgreens will dedicate 400 to 1,000 square feet of select stores to Birchbox products in an effort to drive more traffic to its locations, particularly from younger shoppers. In the beginning, this will include 11 stores in Chicago, Dallas, Miami, New York, Los Angeles and Minneapolis. However, Walgreens will add an online section as well. "Beauty is a very important category for Walgreens," according to Lauren Brindley, Walgreens' group vice president of beauty and personal care. "We've been doing a huge amount of work to get ourselves ready for a partnership like this to take us to the next step." It's a small step that the company is hoping will pay off. If it does, it will give Walgreens the confidence to increase its reliance on beauty. While it's unlikely to be the next Ulta Beauty (ULTA - Get Report) and generate massive comp-store sales growth as a result, any sort of noticeable boost will be cheered by Wall Street. And while we're talking about a bricks-and-mortar makeover, Walgreens' increased adoption to new technologies is something management should keep in mind. Anything that can help keep customers coming in the door, filling prescriptions and staying away from Amazon is a good thing for them.